When it comes to advising undergraduates, CEE students are in good hands. And those hands belong to lead academic adviser Mariko Navin. 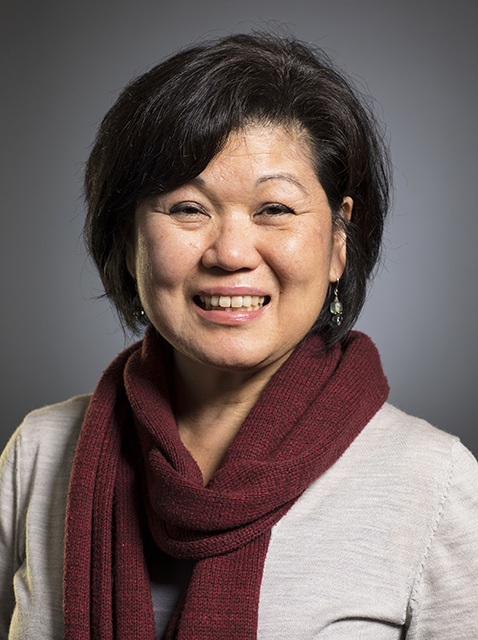 In recognition of her commitment to students, Mariko is honored with the 2018 UW College of Engineering Professional Staff Award. In her current role, which she has held for 12 years, Mariko advises more than 360 undergraduate students in the department’s two bachelor’s degree programs. Dedicated to building relationships with individual students, she knows many by name. Building relationships with students sets the stage for offering additional assistance when needed. It isn’t uncommon for Mariko to reach out to a troubled student via phone call or email to ask how they are doing and connect them with resources. Mariko also strives to make sure that students are intellectually stimulated; if she learns of a student who isn’t feeling particularly challenged in their classes, she’ll go out of her way to connect them with research projects or other activities. “These relationships help to establish and strengthen the CEE community and morale and are paramount to the CEE student experience,” said department chair Laura Lowes in a nomination letter. This past year, Mariko was instrumental in helping to establish the new Bachelor of Science in Environmental Engineering (BSEnvE) degree program. Throughout the process, which took several years, Mariko diligently assisted with preparing documents, reviewing curriculum offerings, planning information sessions and recruiting students both at UW and at local community colleges. She also worked to secure funding for students to take prerequisite classes during the summer to enable them to join the first program cohort in fall 2017. “It was a long process from idea conception through degree reality. Throughout this process, Mariko was an optimistic voice, continually committed to creating a quality experience for the students. Drawing on unique perspectives honed from her years of experience in academic advising, she provided a ‘voice of the student,’” said former CEE faculty member Heidi Gough in a nomination letter. Connecting students to employers is something that Mariko has also worked tirelessly to do. She founded the annual CEE Career Fair in 2006, which has now grown into a signature department event featuring 74 companies and 300 students in 2018. To help students develop and refine their resumes and job search skills for the career fair, Mariko also collaborates with advancement team staff to host the annual CEE Career Fair Prep Night. And, last but not least, Mariko also makes sure that graduation day is special for students. Before Mariko joined the department, the CEE department graduation ceremony consisted of a brunch held in More Hall classrooms. Thanks to her efforts, it is now held in the HUB Ballroom and attracts hundreds of students and family members.